Across the world, there is no denying the charm and allure of blonde-haired men. From short polished cuts and expertly groomed pompadours to rugged man buns and bold buzz cuts, there are an endless variety of ways to style fair hair. 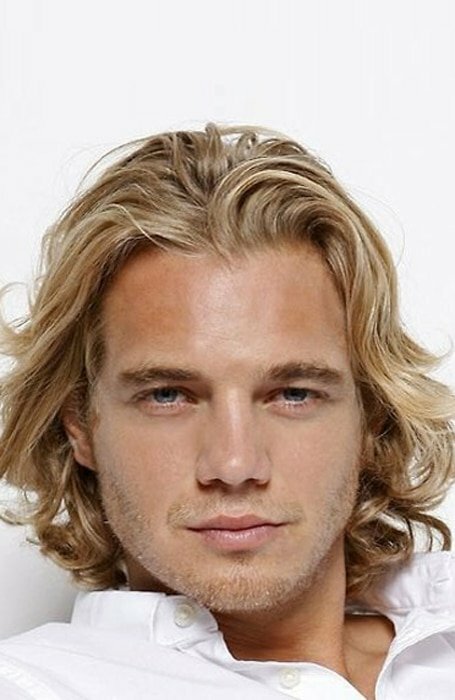 Ultimately, whether you’re a surfer or a businessman, a celebrity or a Viking god, blonde hair is a striking option for any man. When it comes to choosing the shade of blonde and haircut that best suits your personality and lifestyle, you will find that you are spoilt for choice. 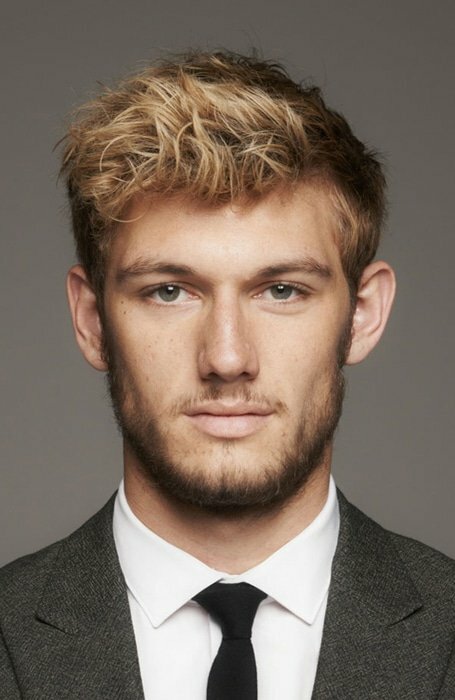 To help you navigate this field of options, we’re here to reveal the best blonde hairstyles for men. Add an element of sophistication to your blonde locks this season with a short, sharp new haircut. If Prince Charming were to enter the 21st century, we can guarantee he’d be rocking this blonde hairdo. Whether you’re moving from the office to the bar or travelling along the beach or the mountains, this versatile look will ensure you look stylish in any setting. The shorter length will also emphasise masculine features, drawing attention to chiselled cheekbones and strong jawlines. When it comes to long blonde hair, Rapunzel isn’t the only one who is able to win hearts with this look. 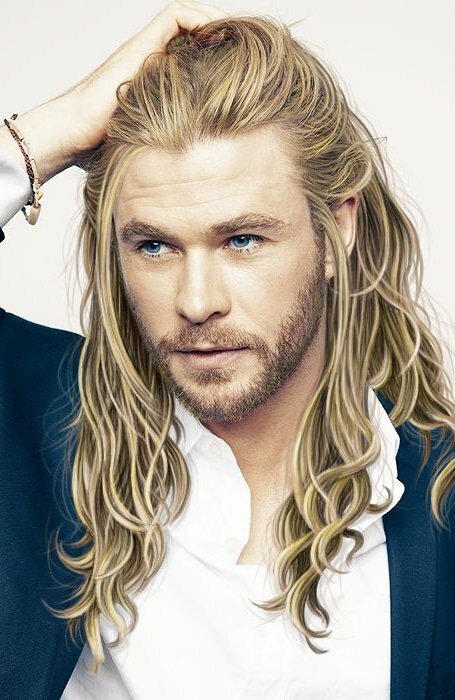 Men across the world are following the lead of Chris Hemsworth’s undeniably charming and confident character Thor and embracing this powerful look. As a result, we recommend following the otherworldly Avenger’s lead and pairing your long, light locks with a rugged beard. 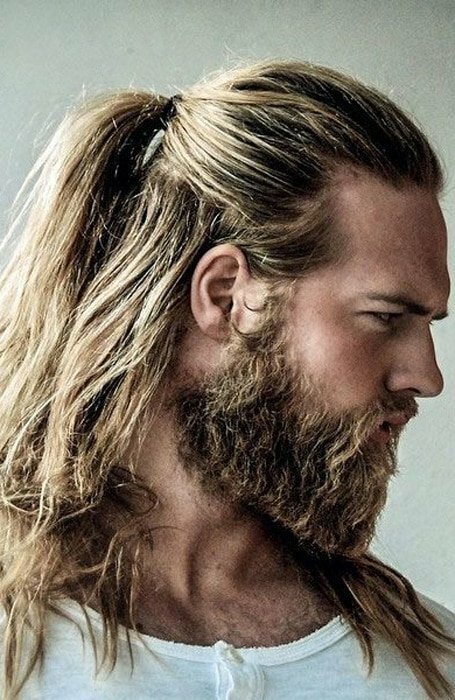 Unleash your inner Viking and set hearts racing with an alluring blonde man bun. Whether your hair is a striking platinum, sun-bleached blonde, or a rugged, dark blonde, growing it long and wearing it in a bun will attract admirers wherever you go. 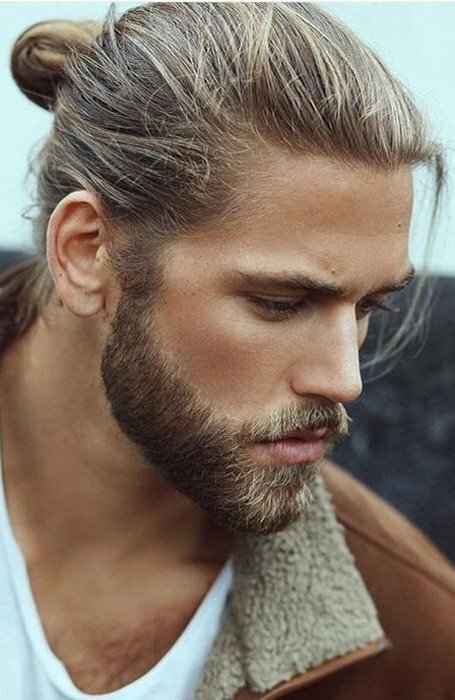 For added points, pair your man bun with a masculine, well-groomed beard. Depicted as the hairstyle of Renaissance angels and Medieval knights, curly blonde hair has evoked beauty, charm and heroism for centuries. In modern times, the popularity of this look has endured. In the 21st century, it has the complementary dual effect of representing both youthful playfulness as well as masculine allure. 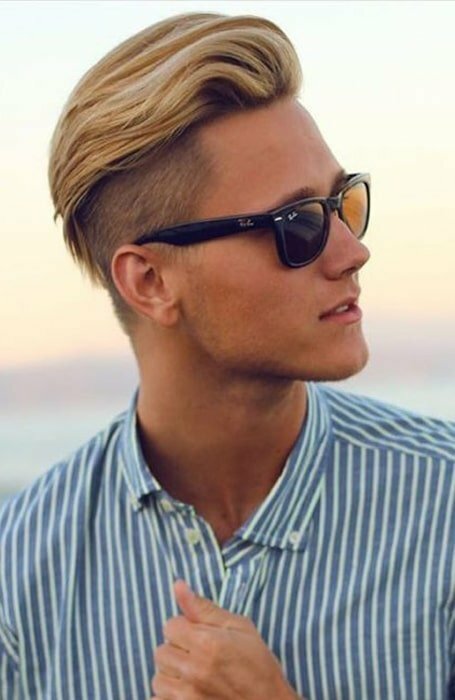 Show the world you mean business with a sleek and stylish blonde pompadour this season. This on-trend look demonstrates a dedication to keeping your appearance sharp. As a result, it exudes an attitude of polished, cool confidence. From the boardwalk to the boardroom, this versatile style shines in all environments and receives the gold star of approval in our books. Known for its versatility, youthful appearance and polished finish, the undercut is a standout in the world of men’s hairstyles. Suitable for all hair types, this style can be created with wavy, curly or straight hair. 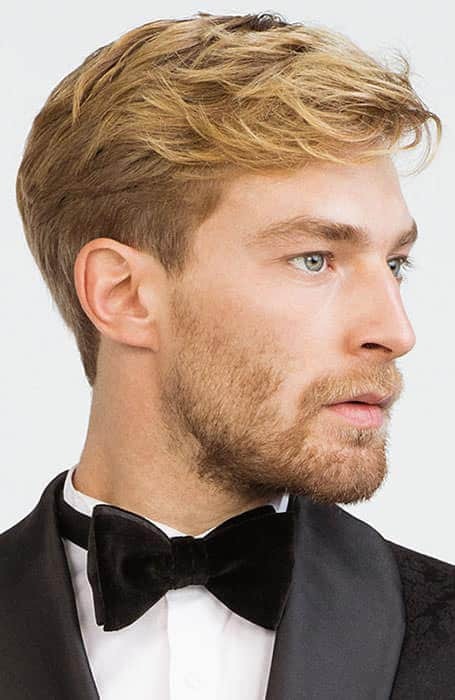 Consequently, this look allows blonde haired gents to stand out from the crowd by adding an additional touch of character to their normal hairstyle. For longer haired men, there are many styling options. While the man bun is the classic go to, we are equally big fans of the simple ponytail. Like the man bun, this no-nonsense style transforms any blonde haired man into a modern-day Viking. Additionally, if you’re looking to add some extra character to this look, try incorporating some braids along the side of the head, or plaiting the ponytail itself. Not quite brown, not quite blonde; dark blonde hair presents a slightly edgier aesthetic than the classic summery blonde. Often appearing naturally in the winter months, it is an effortlessly cool colour, that when styled correctly will elevate your appearance. For an on-trend look, complement this colour with a fade and a light, well-groomed beard. Another great way to take on this colour is as a go-between from brown to blonde. If you’re looking to lighten brown locks, this colour will present a more gradual transition before you go completely blonde. 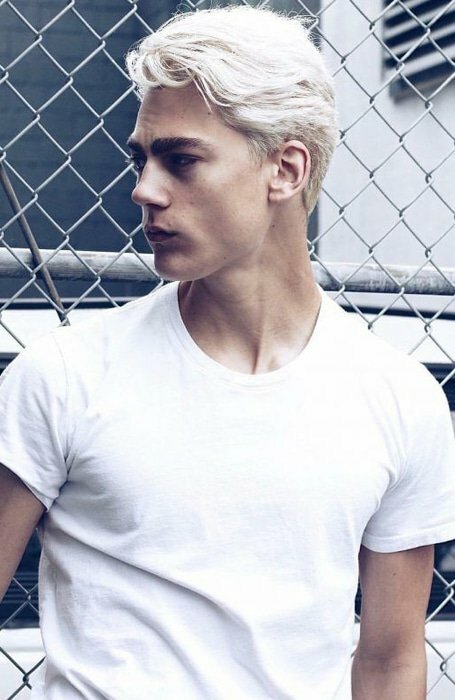 For men looking to take their blonde hair that one step further, or for darker haired gents seeking a dramatic change, grab yourself some bleach and prepare to go platinum. Recently, platinum blonde has seen a resurgence in popularity on both the catwalks and the street style scene. However, if you’re looking to take on this trend, make sure to do so under the guidance of your local barber. Bleach can be incredibly damaging to your hair and skin if used incorrectly. A barber will ensure that your hair is treated with care throughout the bleaching process and that you are informed about the maintenance and care requirements once you leave the salon. Wave goodbye to bad hair days with this effortless, classic look. 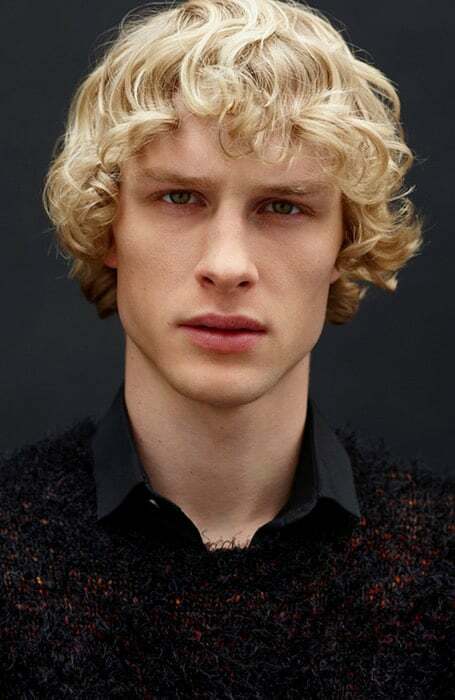 Blonde wavy hair has been popular for centuries and we don’t see this boyishly charming style disappearing anytime soon. For best results, we recommend keeping your golden waves cut just above the shoulders. This will allow you to effortlessly transform your charismatic locks into a rugged man bun whenever you wish. Add a touch of gold to dark locks with some gorgeous blonde highlights. This simple, yet effective hair dying technique will instantly add lightness and youthful charm to your hair, and is a great way to update and upgrade your appearance in the winter months. In recent years, the fade has been adopted as an instant way to elevate any hairstyle. Taking the hair up off the ears, it offers a wide range of styling options up top. 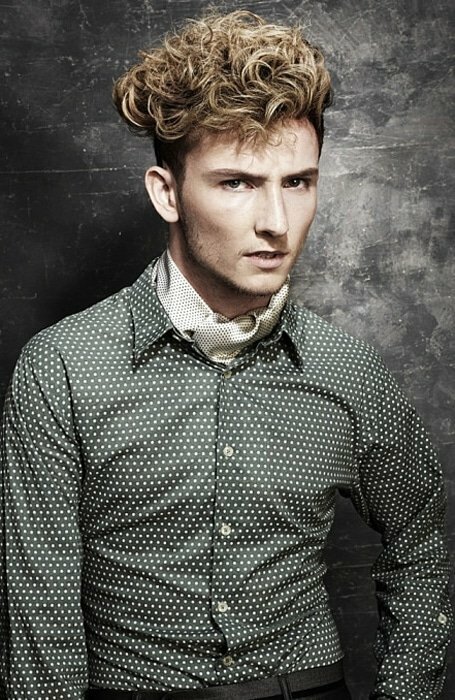 Additionally, by keeping the hair around the sides of the head short, it works to reveal and accentuate masculine features. 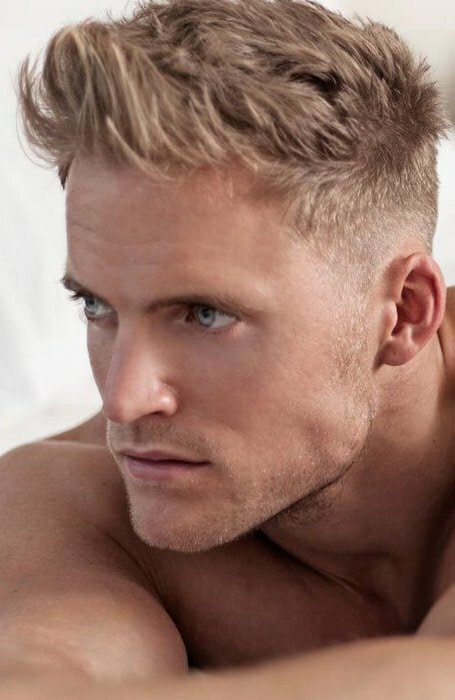 Fortunately for blonde haired gents, your light locks are well suited to all types of fade. Therefore, whether you’re a fan of the high, mid, or low fade, or the unique burst or drop fades, this effortlessly cool feature will complement your charming hair colour. If your busy schedule has you struggling to find time to pay a visit to the barber, don’t stress. 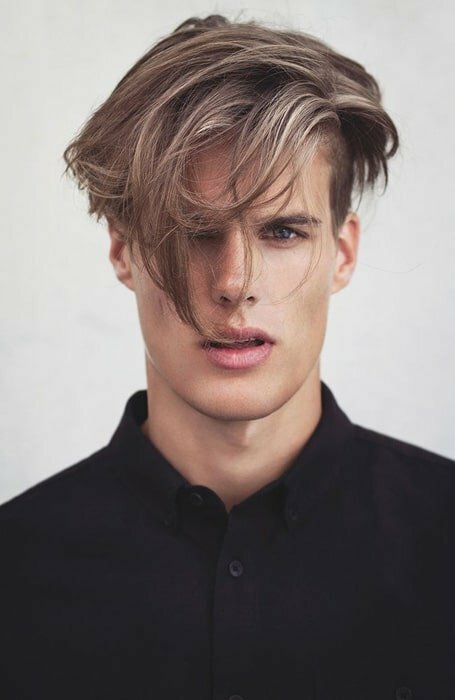 Fortunately for blonde haired men, regrowth in the form of dark roots is not only accepted, but seen as a trendy expression of individuality. If you’re trying out the blonde with dark roots look, however, make sure to keep that regrowth to a minimum. If your hair is starting to resemble a half blonde, half dark choc-top, then its time to clear that schedule and book in for a dye. For men seeking a suave, attractive new look, we can’t go past the classic blonde comb-over. Made popular in the 70s, this timeless hairdo has proved that it’s here to stay. 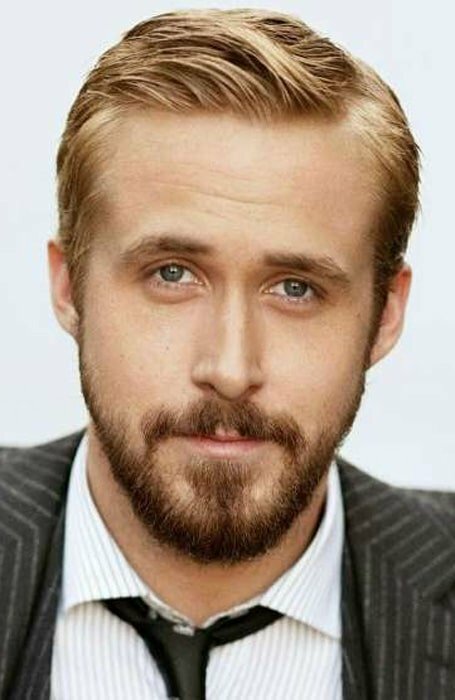 Simple to style, the comb over is also a great way for men with thinning hair to create the appearance of fullness. Keep your blonde hair looking casual, yet polished with a tapered, short crew cut. Easy to cut, style and maintain, this timeless look is a winner for any occasion. While this look remains stylish all year round, it has the added bonus in the warmer months of keeping you looking and feeling cool. 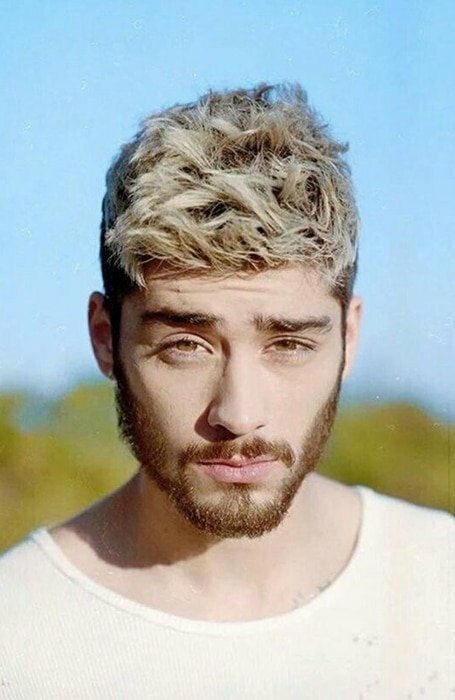 If you’re looking to give your long, light coloured locks the chop or add a new wash of colour to a dark buzz cut, then this look is for you. 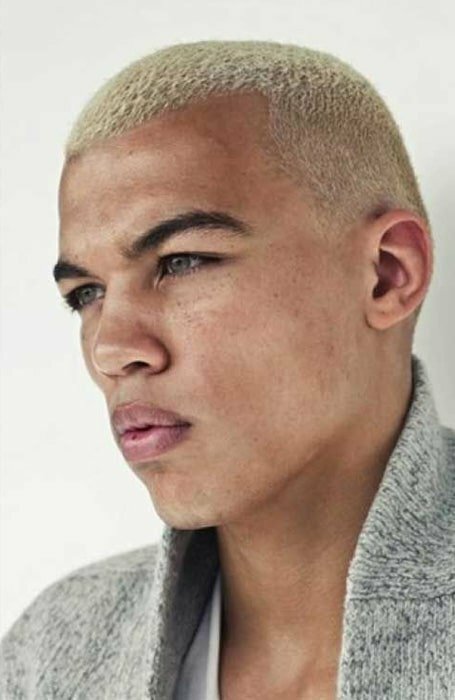 From warm, sandy blonde to icy platinum tones, a blonde coloured buzz cut is a striking addition to any man’s appearance. In addition, this edgy style is easy to maintain. All that’s required is a pair of clippers and a steady hand, plus some blonde dye or bleach for men with naturally darker hair. 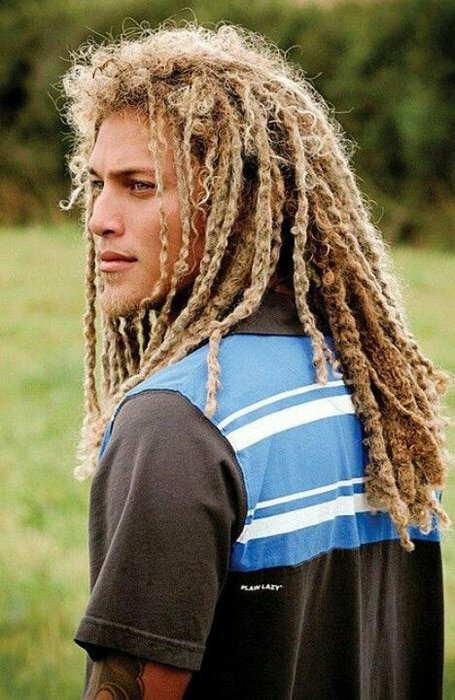 Whether you’re dancing through a festival, hitting the surf or simply enjoying some time in the sun, blonde dreadlocks are the perfect hairstyle to suit a lifestyle of adventure and excitement. This carefree style is literally the easiest look out there when it comes to maintenance, making it a great option for fair-haired travellers. Then, when the dreaded moment finally comes when it’s time to lose the locks, your blonde hair will look dashing with a crisp buzz cut. The bowl cut has come a long way from the embarrassing haircut your mum gave you in primary school to the stylish, high fashion look we see today. Consequently, it makes the cut one of the best options for blonde haired men. If you’re choosing to rock this style, however, we recommend not taking the name literally. Put the bowl and the scissors down and book an appointment with your local barber to ensure your look hits all the targets of a high fashion cut. Throughout the years, numerous Hollywood A-listers have made a bold impact on the red carpet by stepping out with dyed blonde hair. Transforming their typically dark locks to a lighter shade, these celebs demonstrated one sure-fire way to instantly hit refresh on your appearance. 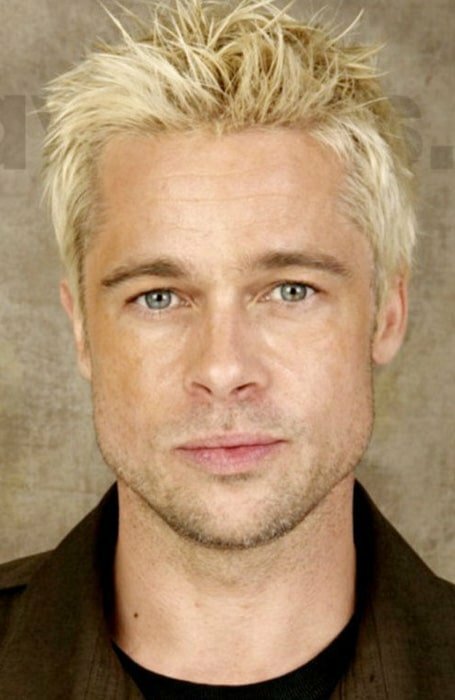 Therefore, if you’re looking to make a statement, we recommend taking the plunge and dying your hair blonde. To really enhance the juxtaposition between your naturally dark hair and your new light, do make sure to keep your eyebrows dark. 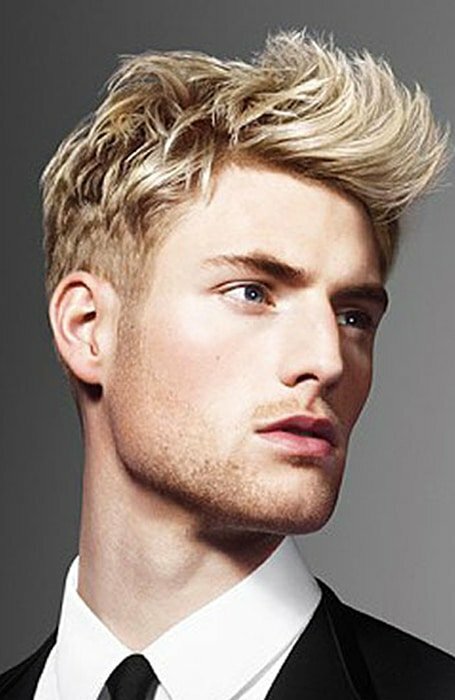 Demonstrate your fashion expertise by sporting a well-groomed, on-trend blonde quiff to your next big event. After a little styling practice, you’ll be adding this versatile, day-to-night look to your daily grooming routine. To keep your quiff looking on point and in place, simply work in some pomade or hair spray before you hit the streets. In the space between white and blonde hair, one will find the category of ash blonde. 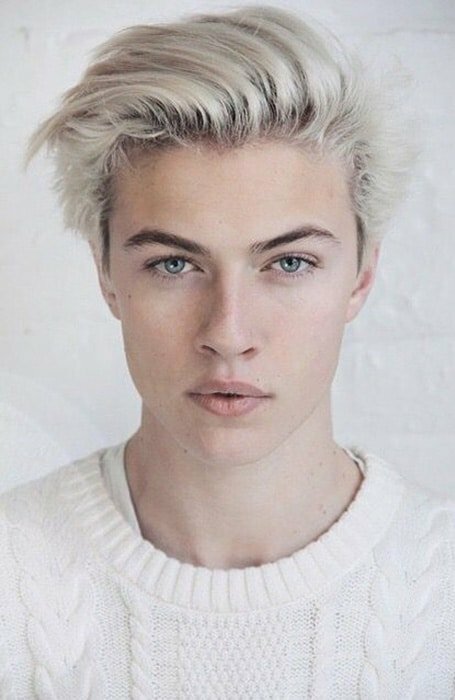 While this is an incredibly rare natural hair colour, this soft hue is a stand out choice for men dying their hair blonde. 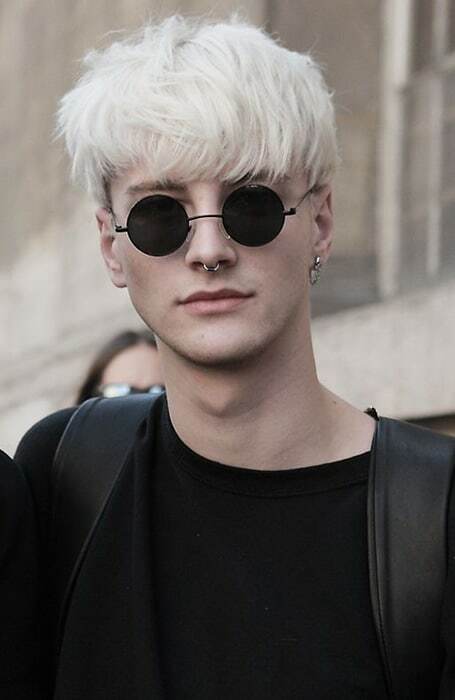 Striking and ethereal, ash blonde hair works well with all varieties of haircuts. Therefore, if you’re looking for a unique way to refresh your look, this may be the colour for you. Another variation on the classic blonde, strawberry blonde hair is categorised by the blending of rich red tones with golden highlights. This light hair, therefore, falls into the categories of both ginger hair and blonde hair. As a result of this, it is a stunning option for any man. Whether you’re fair, tanned or dark in complexion, strawberry blonde hair will complement your natural features and add a touch of radiant warmth to your appearance. 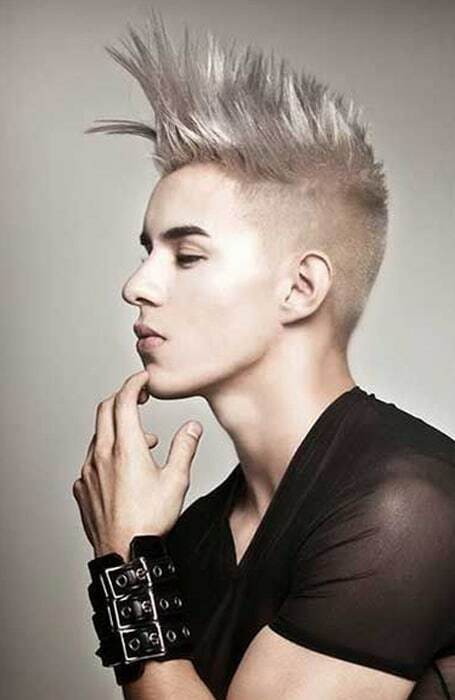 Add an extra element of edge to your razor sharp mohawk this season by dying your hair ash blonde. When paired with your confident cut, this unique colour will give a modern edge to your eye-catching look. To further emphasize your inner punk, keep your eyebrows dark to contrast against your light mohawk. 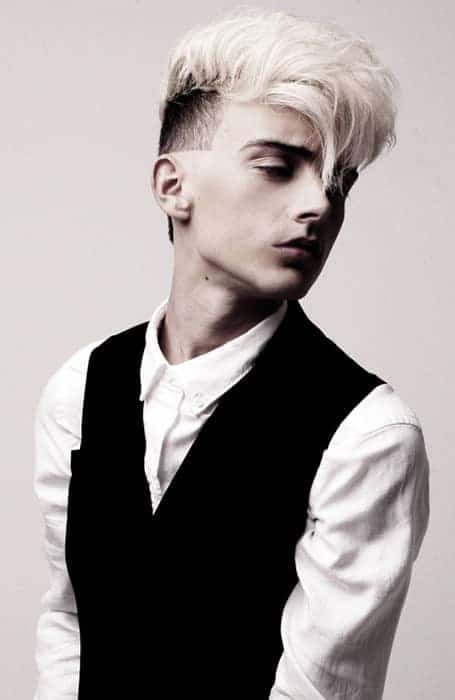 Express your artistic individuality with the addition of a platinum blonde fringe next time you hit up the barbershop. 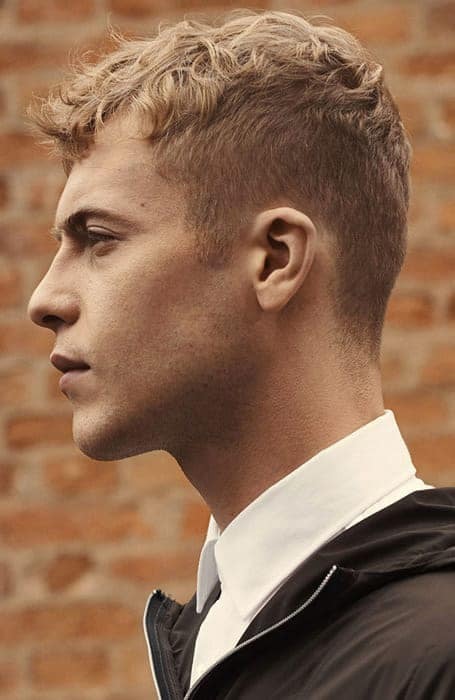 To really make this look stand out, pair your striking new cut with a high skin fade or undercut. As platinum hair typically requires the use of bleach, make sure to take extra care to treat and nourish your hair. This will keep your fringe looking fresh and fashionable while minimising any brittleness or hair damage. 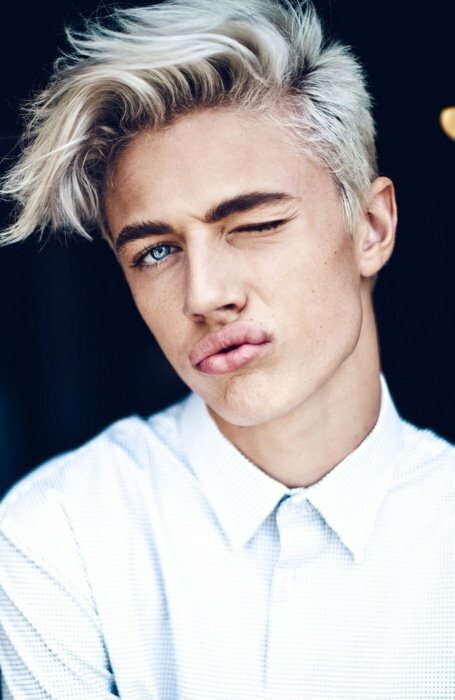 Add a touch of edginess to your blonde locks by incorporating some punk-rock spikes into your grooming routine. With a little styling gel, this look is easy to create and offers a fun, daring alternative to styling shorter hair. To take this look to the next level, grow out the length of your hair so that your spikes may be transformed into a defiant, statement-making blonde mohawk. Give your blonde curls an upgrade with the addition of a stylish undercut. Taking the curls up and away from the face, this easy to maintain cut creates instant height and volume. 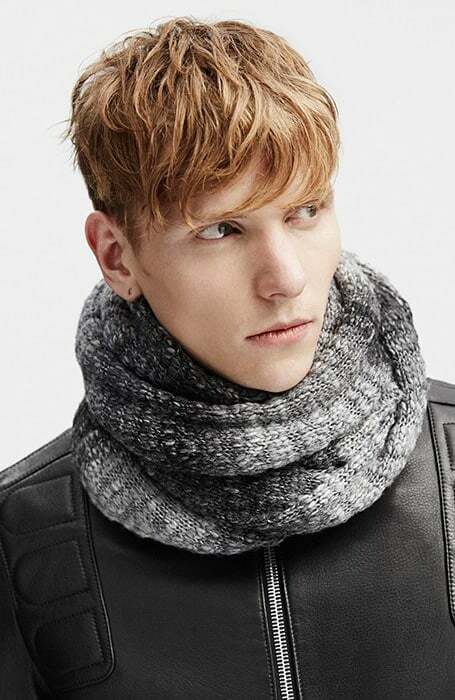 While this style works well with shorter haired men, it is best suited to mid-length hair. This is because the slightly longer locks allow those natural curls to take form, creating a unique, coveted look. Struggling to choose between dashing dark hair or charming blonde? If you’re looking for a bold new hairstyle that embraces the best of the dark and the light, then this style is for you. Platinum blonde hair creates a striking, eye-catching look on its own. When paired with a dark fade, however, it instantly develops artistic, high fashion edge. While this look may not be for everyone, it is a winner for any confident man looking to challenge the norm. 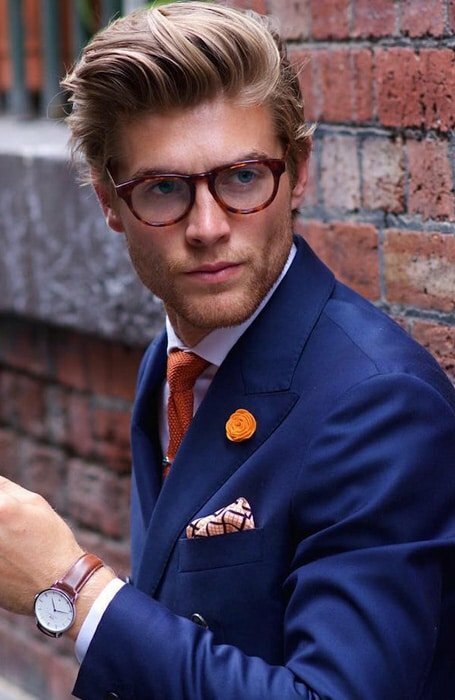 Whether you’re off to a romantic date with your partner, a meeting at the office, or simply a walk at the park with your four-legged friend, blonde haired men can’t go wrong with this style. While it is undeniably simple, brushing back your hair will create a casual yet charmingly refined look for any occasion. To ensure your hair stays sleek around the clock, a little styling product will help to keep it brushed back off your face. Step out onto the streets looking sleek and sophisticated with this easy to achieve blonde hairstyle. With a little styling gel and a comb, any man can create this winning slicked back look. Like many of our favourite blonde hairstyles, this versatile look can easily be taken from day to night, and will keep you looking sharp in any setting. 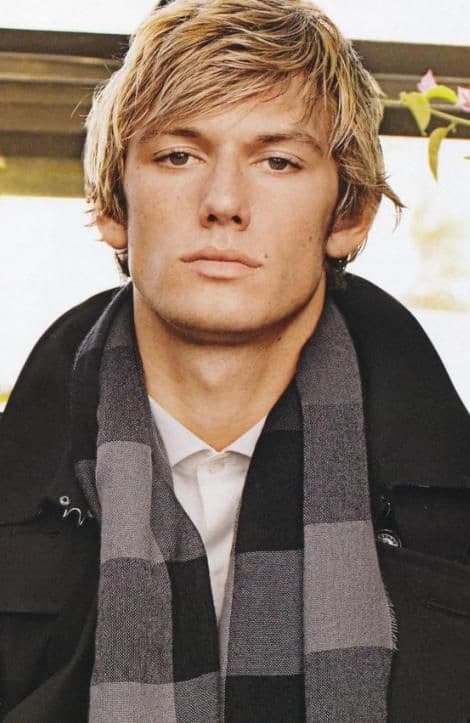 For a youthful, charismatic haircut, let your blonde hair grow into a mid-length, shaggy style. Not only is this attractively playful look easy to maintain, but its softness will also work to enhance the angular features of your face. 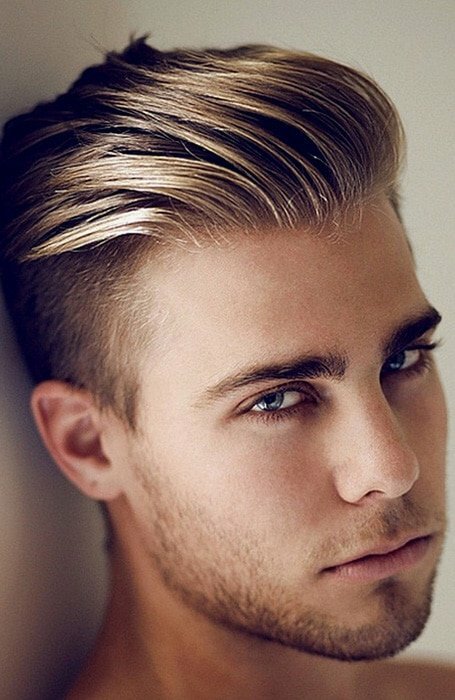 Consequently, if high, chiselled cheekbones and a strong jaw form the foundations of your face, we recommend you try this blonde hairstyle.